Byron Shire Council is poised to consider placing permanent controls on holiday letting after its controversial draft strategy attracted more than 150 submissions in its recent six-week exhibition period. Byron’s executive manager of sustainable environment and economy, Ray Darney, said that over the recent holiday period the council had received ‘few complaints regarding problems of holiday letting properties in residential areas’. But he added that the council needed to complete its strategy ‘to provide clarity to those that own property that is holiday let, and to those people who had concerns regarding noise, parking and nuisances that sometimes occur due to this use’. “The draft Byron Shire Short Term Holiday Accommodation Strategy was exhibited by council for a period of six weeks leading up to Christmas,’ he said. Mr Darney said the draft strategy ‘provides controls that will enable holiday letting to occur in dwelling houses across Byron Shire with specific requirements for either a Development Application or, a Complying Development Application to be lodged’. ‘In some cases Exempt Development may be applicable where a dwelling is only let during school holiday periods,’ he added. Council staff are currently reviewing the submissions and their report is set to come before council in February or March. Mr Darney described the issue as ‘complex’, and said that ‘in the absence of any clear direction from the department of planning or a statewide policy, council needs to clarify the matter through its planning controls’. He added that a number of NSW councils, including Gosford, Eurobodalla, Shoalhaven, Wyong, Blue Mountains and Kiama, have so far introduced planning controls. 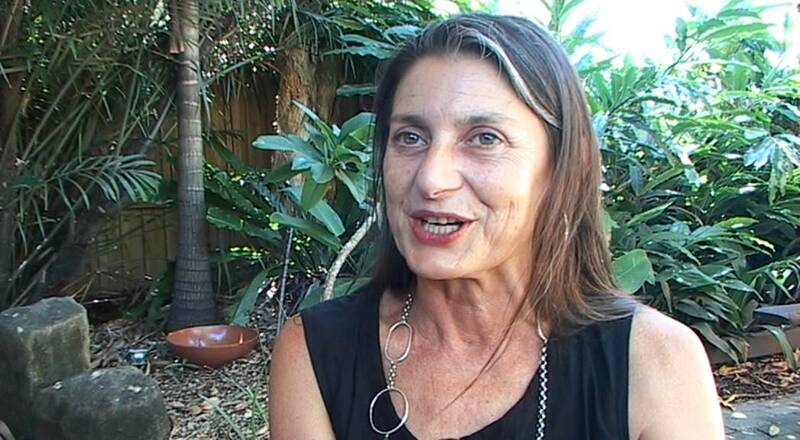 Former Byron mayor Jan Barham has been a vocal critic of the strategy, which would allow holiday-letting across the shire with DA approval or, in the case of properties which are only let during school holidays, as a ‘complying development’. Ms Barham told Echonetdaily the proposal ‘makes a mockery of the process of strategic planning’. But current Byron mayor Simon Richardson, has defended the move, saying a previous plan to develop holiday-let precincts would centralise the problem and preference some landlords over others. Cr Richardson said the new aim of ‘improving the management of holiday letting and increasing requirements for it’ would ‘encourage some people to let their properties long-term instead’. ‘The latest data shows a large majority of holiday-let dwellings are bought by people in Melbourne and Sydney who are holiday letting until they make their sea-change,’ he said. NSW Greens MLC and former Byron Shire mayor Jan Barham has taken exception to the council’s holiday-letting strategy and tabled a motion in state parliament to ban the practice except in defined tourism zones. The current Byron draft holiday letting strategy is on exhibition until 4pm Monday, and has been shepherded through council and a community consultation process by Greens mayor Simon Richardson. The plan has moved away from its original zoning strategy towards allowing holiday letting throughout the shire contingent on conditions. But Ms Barham said the practice is ‘eroding communities’ and has vowed to campaign against it, including by legislation when parliament returns following the state elections in March. ‘It’s ironic when you consider that West Byron was approved by the state due to the “housing crisis” in Byron Shire. The fact that dwellings previously approved in residential zones to meet residential population needs are now being used for tourism is of great concern for the future character and community of the shire. ‘A change in the LEP would further diminish the supply and affordability of residential housing with the use made permissible in any zone,’ she said. ‘This would mean that the recently approved West Byron development could become a holiday-let area,’ she added. Ms Barham said recent legal judgments, including one examining the practice in Gosford on the central coast, ‘prove that the use is prohibited in residential zones; it also makes it clear that council has a responsibility to address it’. But she said previous attempts to address holiday letting in residential zones in Byron Shire had been ‘thwarted’. ‘In previous councils there was an inability to gain a majority of councillors willing to resolve to take legal action. Ms Barham added that a recent briefing with the department of planning had confirmed her view that tourist accommodation was not a permitted activity as part of the existing LEP. But she warned that changes to the new LEP could allow it to spread across the shire and further erode the stock of housing available to residents. ‘If the issue of holiday letting is to be resolved then it should only be allowed in defined tourism areas as it is a tourism use and the protection of residential areas must be a priority to retain a sense of community,’ she said. ‘Council has a responsibility to address the amenity of residential areas and also to provide for a permanent population. 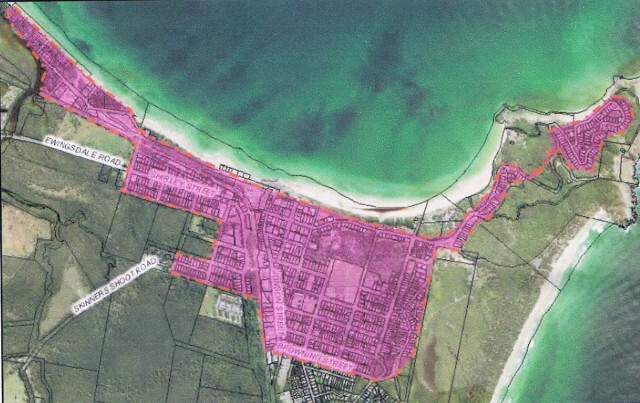 The potential for tourism use to be permissible in all zones across the shire would affect the availability and affordability of dwellings in Byron Shire. This move could result in the area becoming a resident free area. She said that despite the proposed controls ‘the most important asset for Byron Shire is committed residents and this move to change the LEP could change that forever’. Ms Barham said she had ‘great concerns that this would change the character and nature of the shire forever’. Byron Greens mayor Simon Richardson said he was initially attracted to the precinct model. ‘It logically makes the most sense in terms of providing clarity in letting people know what they can do and where. If you live in an area that allows holiday letting it allows people to invest knowing they won’t be hassled in the future,’ he said. But he added that ‘anytime you draw a line on the map there are some natural injustices and inequalities’. ‘It’s easy for me or anyone not affected to just draw a line but if you live on the wrong side you might find yourself in a holiday precinct that you never wanted, or you might have to sell out [if you were an investor]. ‘The latest data shows a large majority of holiday-let dwellings are bought by people in Melbourne and Sydney who are holiday letting until they make their sea-change. A plan to try to regulate Byron shire’s booming but unauthorised holiday letting industry is now out for public comment. Up to 900 properties in the shire are understood to be currently holiday let, and the longstanding issue, according to mayor Simon Richardson, has caused many sleepless nights for some residents. Community input is being sought for the Draft Short Term Holiday Accommodation (Holiday Letting) Strategy, worked on by planners over the past 12 months to address the issue. Cr Richardson said the new plan recognised ‘that unregulated holiday letting can result in a loss of neighbourhood amenity through noise, traffic and undesirable behaviour’. ‘This is a long-standing issue in our community and has caused many a sleepless night for some residents,’ he said. ‘However, holiday letting makes up a significant proportion of our bed stock that underpins our strong visitor economy. ‘This strategy aims to continue the conversation with the wider community and see if it meets their expectations on council’s role in assisting with the regulation on holiday letting whilst supporting the visitor economy. ‘Have we got the balance right?’ he asked. Stakeholders groups Victims of Holiday Letting and the Holiday Letting Organisation were involved in the consultation process. * Development assessment which allows holiday letting for houses with four or more bedrooms that are rented for less than 90 days at a time. Under the new regulations, all holiday properties would need to register with council and when let, signage placed at the front of the property advising contact details for complaints and that the property is registered with council. If a property has more than two substantiated complaints within a year, it would not be allowed to continue holiday letting. Council’s executive manager of planning and environment Ray Darney also noted that minor amendments to the Byron LEP 2014 and the Byron DCP 2014 would also be made in relation to tourist and visitor accommodation. Public exhibition will begin 11 November and close on 8 December 2014. The council spokesperson said that during this time, staff will be on hand to discuss the draft strategy and an additional workshop with holiday-let operators and the Victims of Holiday Letting will be held to outline how the planning controls will work and how it may apply. Recently, a meeting was held with Holiday Let Organisation (HLO), AMARA NR (Accommodation Providers), staff and Councillors. It was intended to be a coming together of ideas and suggestions for going forward towards creating an environment whereby both Holiday Let providers and residents could manage the industry and ensure peace in the suburbs. Though only marginal areas of agreement were reached, it was an important start and will provide a foundation for further negotiations and solutions. We all know of the problems, and though disagreement may exist over the degree or severity of these problems, the whole community seeks a practical, respectful and importantly, a sustainable management structure. From this meeting, Council resolved to create a Holiday Let Working Group. To find out more about this group and what it will aim to achieve, click here…. It will consist of representation from the Holiday Let Organisation (HLO), AMARA NR, Victims of Holiday Letting (VOHL) and the broader community. The groups will consider possible precinct and registration options, appropriate rates and charges, and other relevant management issues. Recommendations will be presented to Council within 6 months of convening. Prior to that meeting, a meeting with VOHL will be held to knuckle down and try and find agreeable solutions to the problem of decreasing long term housing stock and intrusive, disruptive behaviour in residential areas. We cannot afford to miss this opportunity to come together, settle on mutual positions of acceptance and marry the needs of a visitor accommodation stream and healthy residential areas . Let’s hope that everyone can work towards a possible agreeable solution.The NSW State Government won’t back any council to ban holiday letting ,so for the sake of our community it needs to start with at least a registration process.Because it is outside the Tenancy Act we need to ensure a safe environment for the holidaying guests ie mandatory safety switches,fire blankets,fire extinguishers,fire exit plan,parking plan .On top of this the inspection of the properties with Onsite Sewerage Systems and tank water to ensure it complies with NSW Health Guidelines,again to protect short term travellers that may not understand the working of OSSs . A system of fining not only guests but the managers / owners of holiday let’s . Any complaints against a holiday let property needs to be via a Statutory Declaration to protect against vexatious complaints. In a perfect scenario Residential 2A wouldn’t have Bed and Breakfast establishments either ,but the State Government allows what would appear to be a “tourist facility” in this zone.As such we are already surrounded by “tourist facilities” in R2A zones and it is just about to get worse with the new “complying development” code being brought in by Barry OFarrells government.Personally I would prefer not to have holiday lets or B&Bs next to my home but the state government won’t support this so at least work towards registration and control ready for this summer.Without at least trying this system it will be just another summer of unhappiness. Its a mangement portal which is digitally based and accessible to all stakeholders. Quality improvement in managment, accreditation based on the code of conduct, and a toolbox to assist compliance. Easy to integrate existing security processes, digital reporting, standard instructions for all stake holders. Already in operation in Gosford !!!!!! The LEP is quite clear on the issue : holiday letting is prohibited in Residential zones. I believe what you should be doing is respecting your own rules and – as Council has been so slow to take action – working out a reasonable time in which all holiday letting must stop, i.e. some sort of sunset clause. All the rest is humbug. I believe the LEP says a “tourist facility” is not allowed in residential areas, but why are Bed and Breakfast establishments already allowed in residential areas if this is the case?The new NSW White Paper will allow a B & B up to 4 bedrooms to be a Complying Development,no notification to neighbours . The term “tourist facility” should be “tourist accomodation” if it is to stand up in court.When B & Bs are banned from residential areas then holiday let’s will also be banned. geoff the LEP says no tourist facilities in residential areas except b/bs this was purposly done in 1988 because their were already b/bs in residential areas , they had to rigourously comply with planning laws and pay a substantial fee to exist. becuase of these conditions they did not ,in the most part, effect residential amenity and because conditions are quite onerous they have not flourished like the cancer of illegal holiday lets. geoff i dont want to be rude but why are you questioning all this you already know the answers, dont make it more complicated then it really has tyo be. b/bs are in holiday lets are out. the case before the enviroment court in terrigal stated that short term holiday lets were a tourist facility, the case in cronulla stated that a short term holiday let was a commercial activity prohibited under the lep in that shire which is similar to ours. Justice Pepper never stated that Short Term Rentals were Tourist & Visitor Accommodation. Short Term Rentals can not be classified as Tourist and Visitor Accommodation as they operate out of existing approved dwellings on a domestic scale. If they operate beyond a domestic scale or conduct commercial activities they can not be classified as Short Term Rental Accommodation. This is also an issue with long term tenants. B&Bs are also partially dwellings which is way they are permitted to operate in residential zones as long as they are on a domestic scale as defined by your LEP. They accommodate unrelated people and therefore require more stringent regulation for safety issues , a totally different market demographic , much like a mini hotel on a domestic scale. Short Term Rental Accommodation is unique and must have its own definition and classification. They accommodate related people who often spend time together in other dwellings. Regarding Holiday Lets in Residential Streets. 1. Who wants to live next door to a commercial short stay rented tourist property? New people, cars coming every few days? Many people on holiday behaving like you do on holiday in our residential streets? 2. Rose’s ridiculous $ deposit idea was turned down at a Green’s meeting. I don’t know why she is still promoting it. No amount of deposit can compensate for disturbance of quality of life. 3. Lets get on with enforcing the law against this horror after 13 years of it, no more talk fests with people who make heaps of money from disturbing us. There were no residents at the recent meeting regarding Holiday Lets. 4. The law is enforced with B $ Bs why not with commercial Holiday lets.? A member of Victims of Holiday Letting.Regarding Holiday Lets in Residential Streets. geoff, the state goverment will not rule on something that most residents are against. they have not got a one size fits all cenario for all councils. we are not surrounded by bed and breakfasts , check the numbers. we are surrounded or will be if we let holiday lets legally exist in residential areas. i dont know if u got my previous reply about b/bs in res areas. in 1988 the council in their LEP said no tourist facilities except b/bs in 2a res areas. plain english. the b/bs were heavilly regulated and had to pay large upfront fee. thus no proliferation of them throughout 2a res zones. the land an enviroment courts in terrigal and cronulla confirmed that any rental under 3 months was deemed a short term holidaylet eg tourist facility so is not allowed in 2a residential zones except for b/bs which previously had permission. thats the law as now stands you cant change that and we dont want it changed. as for regulation and registration you need both together the later being usless every man and his dog will register their house as it it will increase their value to the detriment of sustainable neighbourhoods.regulate and you will reduce the numbers, put in precints and you will be able to regulate and sustain family neighboorhoods outside tourist pecincts. Being that the new NSW Swimming Pool laws require tourist swimming pools need to be inspected every 3 years it may make it easier to include all holiday let’s under this registration process.Just throwing it out there for discussion.